The Lacquer Legion: LUCKY...lucky to have Clarins 230!! 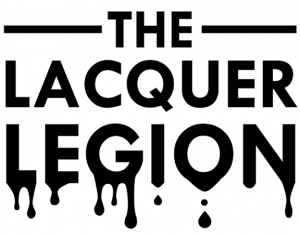 It's the third Lacquer Legion and the prompt is LUCKY! Be sure to post your "lucky" manis all over the web today with the #LLlucky hashtag so we can find you! So what's my lucky mani? I mentioned earlier that I was nervous. And indeed I was! 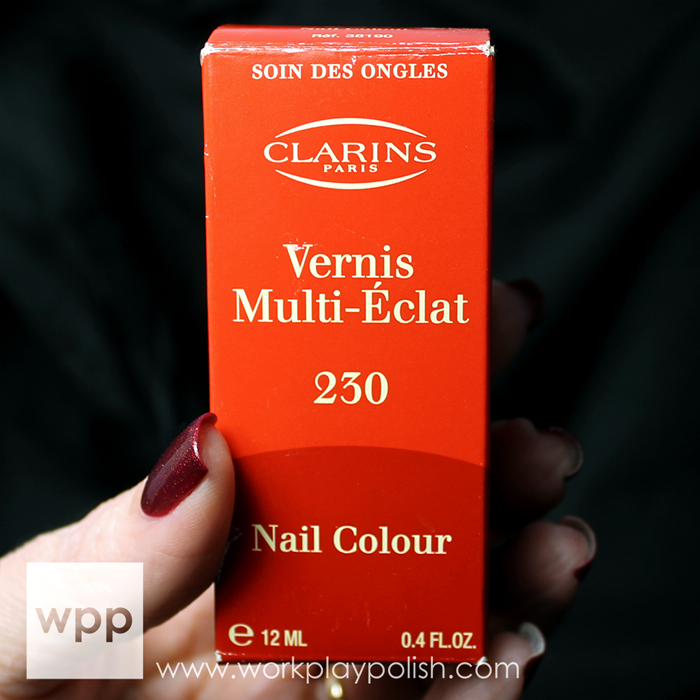 You see, for Christmas 2012, my hubs and daughter (without my knowledge or prompting) set out to get me a real, no-kidding bottle of Clarins 230, arguably one of the rarest finds in all of polishland. Money was no object, so I'm embarrassed to reveal exactly what they paid for this beauty...but it did have the box! I've been soooo nervous to try it. Nervous that I'd ruin the experience. Nervous that I'd pair it with the wrong thing or somehow make it seem less awesome than legend has portrayed it. So when the "lucky" theme came up, I knew I was lucky to have this polish and even luckier to have a family that cared enough to find it for me!!! And so today's mani uses the one and only Clarins 230, lovingly (and appropriately) referred to as unicorn pee. This is the first and probably only time I will actually use it. I decided to go all out and make it a pricey pairing with Guerlain 860 (straight from Paris, hand-selected by the one and only Manicurator!) Clarins 230 is every bit as magical as it's fabled to be. It's fireball sparkly and shifts from red to gold to blue to purple to green. I'm totally bummed that my indoor light setup couldn't capture it. But alas it was midnight and the forecast was rain for days. *sigh* Do a google image search and you'll find lots of amazing pics (of both Clarins 230 and it's now equally rare dupe, Max Factor Fantasy Fire). But it's still fab in these pics, I think, and I definitely still feel very fortunate to own it. Oh...and to qualify this mani as challenge-worthy nail art....I used craft tape to tape off a line down the center of my ring finger (it's hard to see). I treated myself to an actual two-handed mani and wore this to work. Lucky me! :) I can't wait to see all of your lucky manis today!